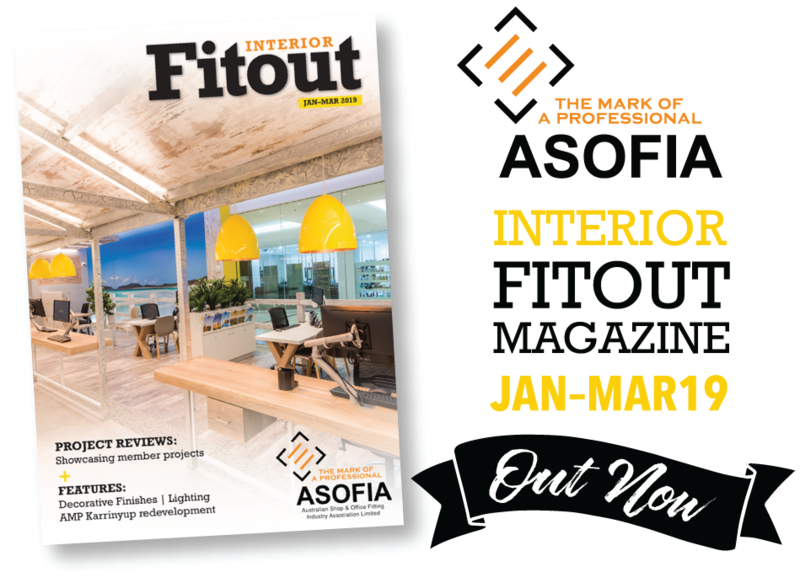 Edition one, 2019 of ASOFIA’s industry magazine “Interior Fitout” is out now. This edition features Decorative Finishes and Lighting, as well as Designers and an overview of the redevelopment of AMP’s Karrinyup Shopping Centre. In addition, you’ll find regular segments including industry news, retail news, “Your Business”, a showcase of New Members to ASOFIA and “Meet The Member”.